The hotel has 113 spacious and comfortable guest rooms, which are decorated in a modern, contemporary style. Each room has a minibar and a modern en suite bathroom with complimentary Manuka Spa Toiletries. Fresh seafood is on offer in the hotel’s Oceano Restaurant or enjoy award winning authentic Japanese cuisine in the Miyazu Restaurant. There is also the Atom Cafe and Port o' Call Bar, along with 24-hour room service. 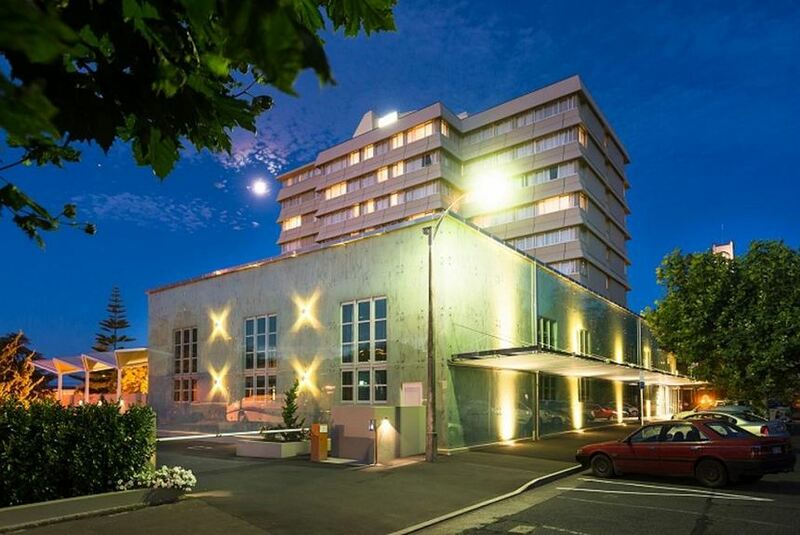 The Rutherford Hotel Nelson is well-placed for cycling and exploring the sandy beaches, blue seas and mountains of the surrounding area. A number of art galleries are also in the vicinity.